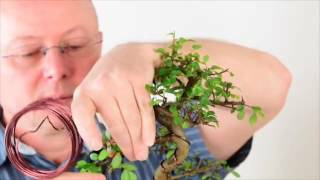 Fantastic Hands On Bonsai Pruning & Wiring Kit! Fabulous way to learn bonsai styling techniques. This set is the perfect way to get started and develop your skills in the amazing art of bonsai, complete with step-by-step guides (Bonsai Pruning Guide & Bonsai Wiring Guide) and online bonsai tutorial videos.